Drawing on his own long-standing battle with anxiety, Stossel presents an astonishing history, at once intimate and authoritative, of the efforts to understand the condition from medical, cultural, philosophical and experiential perspectives. He ranges from the earliest medical reports of Galen and Hippocrates, through later observations by Robert Burton and Søren Kierkegaard, to the investigations by great nineteenth-century scientists, such as Charles Darwin, William James and Sigmund Freud, as they began to explore its sources and causes, to the latest research by neuroscientists and geneticists. Stossel reports on famous individuals who struggled with anxiety, as well as the afflicted generations of his own family. His portrait of anxiety reveals not only the emotion’s myriad manifestations and the anguish it produces, but also the countless psychotherapies, medications and other (often outlandish) treatments that have been developed to counteract it. Stossel vividly depicts anxiety’s human toll – its crippling impact, its devastating power to paralyse – while at the same time exploring how those who suffer from it find ways to manage and control it. 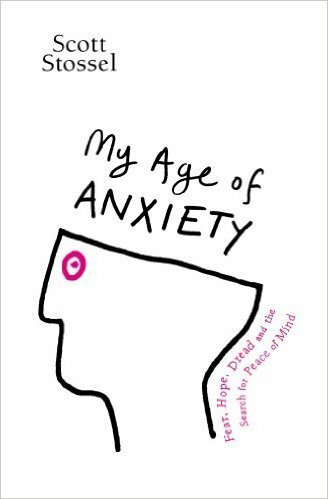 My Age of Anxiety is learned and empathetic, humorous and inspirational, offering the reader great insight into the biological, cultural and environmental factors that contribute to the affliction.